Following a series in which they triumphed after being written off by nearly everyone in the hockey universe, the Los Angeles Kings will be looking to continue their remarkable run through the Stanley Cup playoffs as they tangle with the Anaheim Ducks in a postseason series for the first time in team history. 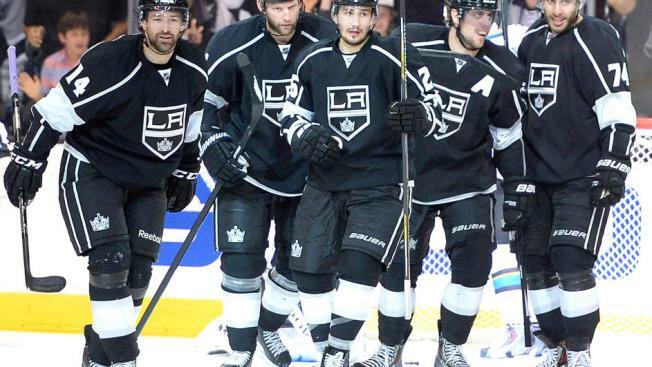 The Kings’ remarkable turnaround in the first round series, in which they trailed 3-0 against the San Jose Sharks, was the result of several factors. The first and most important factor in that reversal of fortune was the fact that the team’s offensive stars really got into a groove during the final four games of the series. Anze Kopitar led the way by racking up 10 points overall in the series, and players like Justin Williams, who scored two goals in Game 6, and Tyler Toffoli, who scored a key goal in Game 4 and gave the Kings a critical insurance goal in the third period of Game 7, also chipped in for the massive effort. The goaltending that the Kings got from Jonathan Quick also helped calm things down for the team. Just like he did during the 2012 Stanley Cup run, the American-born goaltender made every key save imaginable during the four-game winning streak that propelled the Kings into the second round, making 130 saves and only allowing five goals in four games as his Kings team made history. Another crucial component to the turnaround was the team’s ability to capitalize on the mistakes that the Sharks made. In the series, the Kings racked up an impressive 25% success rate on the power play, scoring at least one power play goal in each of the final five games of the series. They also clamped down in a big way on the penalty kill after some early struggles against the speedy Sharks, killing off the last 15 power plays they faced and finishing with a respectable 87.5% success rate in those situations. In order for the Kings to succeed against the Ducks, they are going to need to continue to get that kind of quality play from their special teams unit and from Quick in net. They are also going to require some increased scoring punch from a couple of their key players. Jeff Carter, who posted a respectable six points in seven games against the Sharks, only put the puck in the net twice, and that number has to go up against an Anaheim team that is capable of scoring in bunches. Outside of Marian Gaborik, Carter is arguably the key guy in terms of scoring goals for this team, and he is going to have to work hard to find open ice against an aggressive Ducks defense. Another player that is going to be key for the Kings in that regard is Mike Richards. During the regular season, Richards was the fourth-leading points producer for Los Angeles, with 11 goals and 30 assists to his credit. During the playoffs however, his production dipped considerably as he only had one assist in the series against San Jose. He did have eight shots on goal in 15:20 of ice time in Game 7 after playing just under 12 minutes in Game 6, so there could be signs of life for a player that the Kings need to be in top form to beat the Ducks. This series is a toss-up in the minds of many hockey observers, and rightfully so. Both teams are well-coached and are evenly matched in just about every area of the ice. The series will ultimately come down to special teams and goaltending, and if the Kings can continue to play as well as they have recently in those two areas, then they will have a very good chance of getting to the Western Conference Final for the third consecutive season.